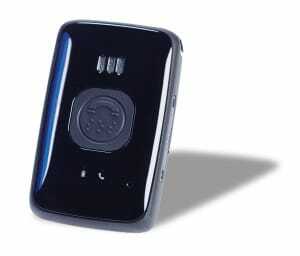 A fully mobile medical alert system to provide peace of mind wherever you are! Our belle is a true mobile alert system. Based on cellular technology, wearers of this small pendant can have access to emergency help regardless of their location. Simply wear this lightweight pendant and you’re in control. Help when you need it with a push of a button anywhere there is AT&T 3G service! One-month battery life – longest-lasting of ANY unit. When it’s time to re-charge, we’ll call you to remind you! U-TDOA locator in case you’re lost. Best of all, it’s very affordable. A one-time purchase fee for the pendant ($259) and only $35 (month-to-month) or $30 per month (paid semi-annually) or $25 per month (paid annually). No other charges and NO LENGTHY CONTRACTS. You don’t have to worry about a base unit. It is a self contained communicator which will access our response team 24/7 from anywhere there is cell service – indoors or outdoors. 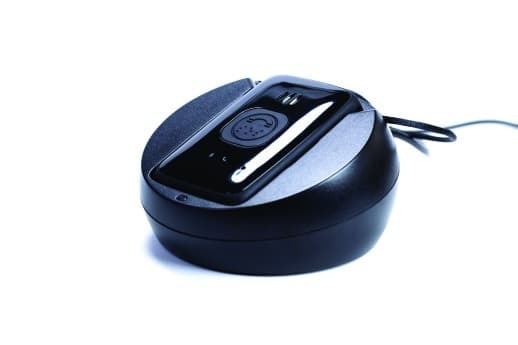 The self-contained unit eliminates the need to fumble for a cell phone, find the right button to push and then go through the time delays of identifying and locating. When you push the pendant, you speak to it just like a phone. The person on the other end already knows who you are and where you are as well. All of this adds up to massive time savings which can be the difference between a good outcome or something worse. With belle you’re always in range, always secure, AlwaysConnected! Press one button to speak with specialists and get help. Specialists can send loved ones or emergency personnel to help, depending on what is needed. Specialists can view important user-provided information, such as allergies, medications and preferred hospital. Specialists can send EMS, fire, police or loved ones to the user, depending on need. Belle can dial 911 directly if AT&T 3G or roaming partner service is not available. The typical life of the single charge is about 1 month. When your battery runs low (20% capacity), you will receive a call from our friendly staff to remind you to re-charge your unit. What’s even better is the Circle Of Know you set up (friends, family, caregivers) will also be informed by a text or email as well! So everyone who should know, WILL know. Your FTR Pendant is equipped with a built-in locator. If you activate your pendant and you are not sure of your location, our responders will connect to the 911 service which can pinpoint your location and send a responder to you. Your Circle Of Know (whomever you have set as contacts) will be alerted by their preferred method (email or text) letting them know you’ve activated. What Kind Of Coverage DOES belle Have? Want to get started right away? Buy your belle now and we’ll get you on the road to personal safety without walls.